The 13th INU Student Seminar 2018 “Food and Water Insecurity” took place at Hiroshima University in August 2018. This year, 10 INU (International Network of Universities) member universities from 9 countries sent 78 students and 13 faculty/staff members for the Seminar. Students visited the Hiroshima Peace Memorial Museum and listened to the personal account of Hibakusha (A-bomb survivor) Ms. Keiko Ogura and attended the annual Peace Memorial Ceremony. Following this, a keynote lecture was given by Associate Professor at the University of São Paulo Law School, Prof. Dr. Geraldo Miniuci and a guest lecture given by Assistant Professor Thanutchaporn Kumrungsee (Graduate School of Biosphere Science, Hiroshima University) on the Higashi-Hiroshima campus. The participants improved their understanding of Japanese culture through the Japanese cultural experience of kendama and an introduction to Japanese session. On the final day the Role-play was held and the participants were given the opportunity to debate on the topic of “Food and Water Insecurity”. All students were engaged in serious and heated discussion from the points of view of their assigned country groups. 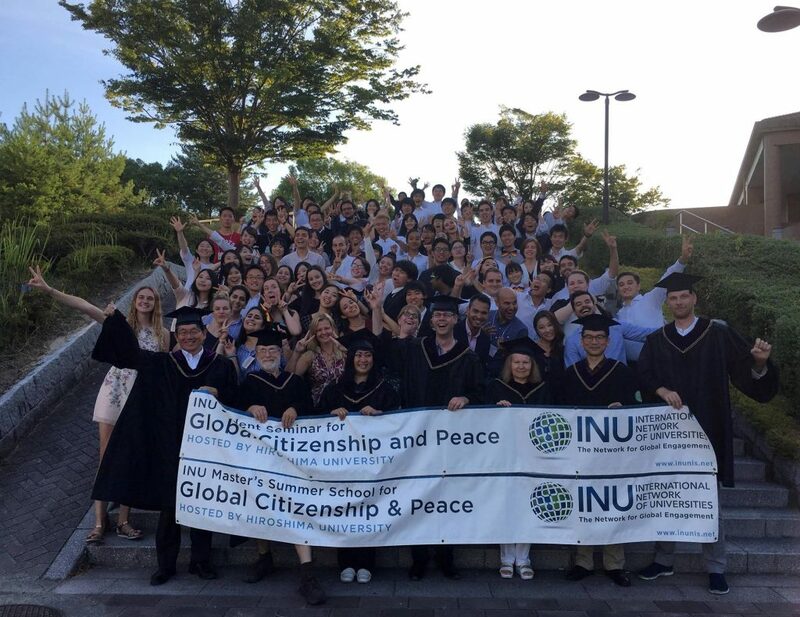 Full-time students at INU member universities can now win the chance to study abroad by applying for the 2018 Henry Fong Award for Global Citizenship and Peace. The award comprises a scholarship to study for a maximum of one semester at another INU member university without the need to pay tuition fees at the hosting university. A stipend of £1,500 GBP is also given to support travel costs and living expenses.